Fascinated by the Japanese minimalist interior design and principles? Here are seven easy ways how you can use it in our home decor too. At present, it is believed that most Americans are stressed for the most part of their lives according to a survey conducted by Paychex. As our daily lives become busier and more demanding, we increasingly aim to find refuge in our own homes, by creating spaces that promote peace and tranquillity in minimalism. Although there are countless ways to bring a sense of calm to a home through effective decorating techniques, it is for this very reason that Japanese minimalist interior design has been embraced by the West. Creating a classical Japanese ambiance for your home is a lot easier than it may sound once you grasp a basic understanding of what it will entail. The Japanese are inherent nature lovers, constantly ensuring they maintain a resilient connection to the outdoors – by inviting it inside. 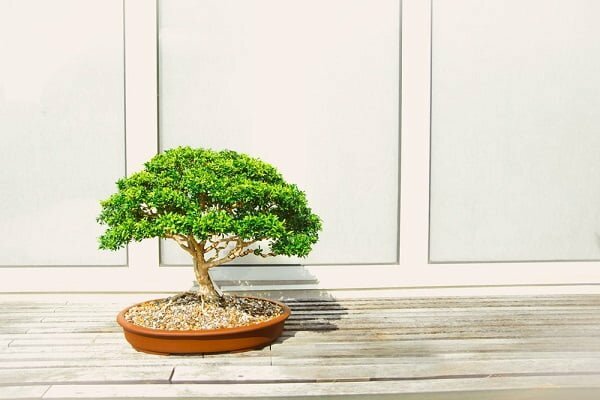 There are a number of ways to include aspects of nature into your home interior while staying in line with Japanese culture. Sleek, simple greenery, bamboo, and wooden furnishings are undeniably two of the easiest ways to create a natural, relaxed ambiance in your home. Large windows and sliding doors that allow unobstructed views of natures, calming water features and even a miniature Zen garden on top of a coffee table or unused kitchen counter can also all help open up your home to the wonders of nature. Traditionally, Japanese homes do not have separate rooms dedicated to certain activities such as watching television or entertaining guests. It is, however, still possible to mimic oriental simplicity within our modern-day segregated dwellings. Japanese furniture is customarily very low to the ground. This applies to everything from tables to bed frames. Dining-room tables and chairs can easily make way for a large, low table with cushions scattered around it to sit on, lending a whimsical air to meal times. Furniture, in general, should be sleek and modern, made of only natural materials. Each piece should serve a specific purpose and be kept in one particular place. You can benefit greatly by doing some research on Feng Shui which will enable you to create a well-balanced, simplistic interior. 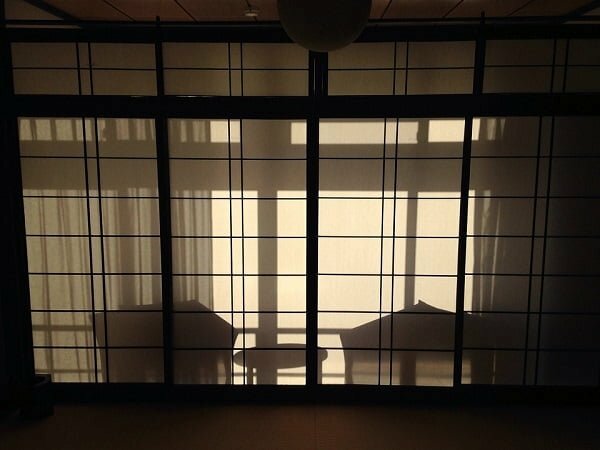 Traditionally made from a wooden structure covered in a translucent paper known as Washi, Shoji screens are most commonly used to divide a room but can also be implemented as a window or door covering. There are a large variety of screens available, some free-standing and some on rails. When they are closed they do not drown out the natural light from a room like heavy curtains, conventional doors and blinds do. These screens can be especially useful in a bedroom where you are in need of privacy while still letting the natural light to go through. 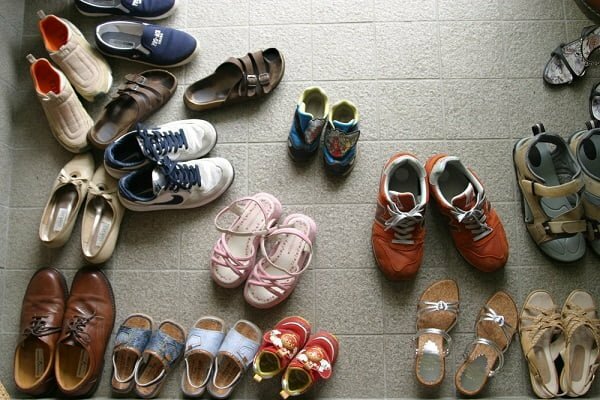 A Japanese entry, known as a genkan, is a designated area where visitors are not only greeted but also where shoes are taken off and replaced with slippers that are strictly worn indoors. These entryways are generally very simple in design, boasting an elegant, sleek wooden door and as much natural lighting as possible. Wood or natural stone flooring will work equally well, as long as they are kept debris-free. Although it is relatively simple to design an area that mimics the Japanese original, it may be slightly more challenging to keep the space clutter-free. Color is of vital importance as far as creating beautiful, functional living spaces are concerned. In a bid to build a unity between inside and outside, typical Japanese homes generally feature a variety of simple colors inspired by nature. Shades of browns, greys, and greens tend to dominate. Even if you live in the heart of a big city you can create a natural space indoors simply by making use of the correct color palette. In addition to the earthy colors, you can opt to add soft tones of blue and yellow to create contrast and breathe life into an otherwise monotonous room. The kitchen is without a doubt the heart of the home. 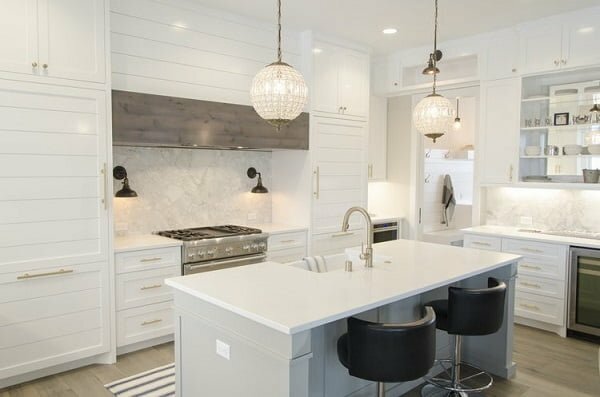 While modern-day kitchens are often cluttered with many unnecessary appliances and other gadgets, a Japanese-inspired kitchen is exceedingly clutter-free. Make sure that you have storage space to pack all your kitchen equipment away after use. You will never find a Japanese kitchen counter strewn with an array of articles, there is a place for everything, and everything is in its place. Invest in quality, sleek crockery, and cutlery and don’t forget one of the most significant additions to any Japanese-themed kitchen: a couple of high-quality Japanese kitchen knives. There are a number of principles that are commonly applied to Japanese kitchen design. The principle of Shibui focuses on modesty and minimalism. A Japanese-inspired kitchen should boast meticulous organization, a limited range of colors and very few details. Shibui objects have clean lines, with subtle details courtesy of a variety of textures. 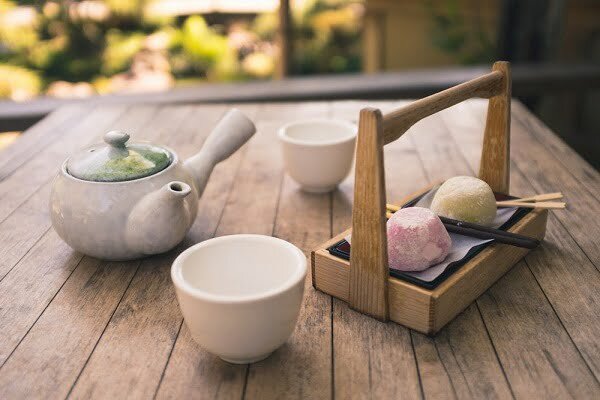 The belief of Wabi-Sabi involves restraint, simplicity, and frugality. It does not, however, mean that your kitchen has to be unimaginative and unsightly. The minimalist appearance of a Japanese home can be both sensible and beautiful. 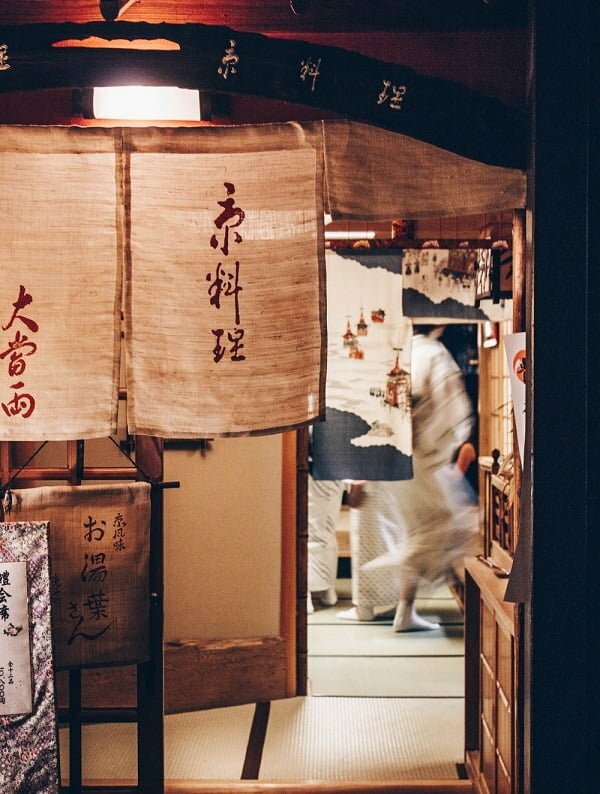 Another famous Japanese principle that is readily incorporated into the interior design is known as Kanso, which entails only keeping what you absolutely need and getting rid of everything else. If you are serious about incorporating Kanso into your kitchen you need to declutter, ensuring that you use each inch of your storage and work surfaces to its full potential. 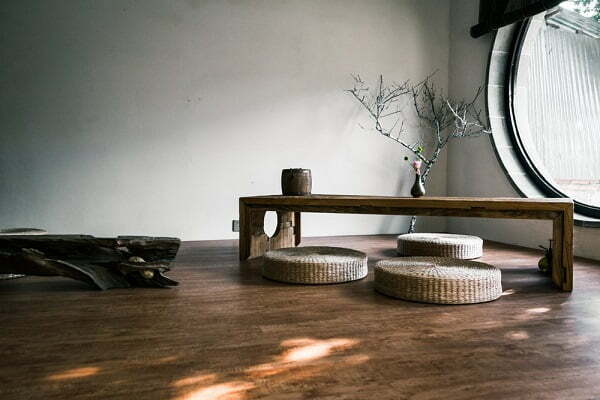 Once you have an understanding of what it entails to create a Japanese-inspired home, you can quickly go about creating your own beautiful, tranquil living spaces. Whether you choose to transform your entire home into a Zen-haven, or just renovate your kitchen or bedroom, you will not only fall in love with the visual transformation but benefit from your new peaceful environment as well.